Please call establishment to confirm adequate Kosher Certification. Chabad Lubavitch of Fort Lauderdale cannot vouch for the accuracy of the information submitted to this database. It is up to the consumer to verify the information by requesting to see a copy of the Kashrus certification. For more information about the Kosher Symbols and Certification, click here. 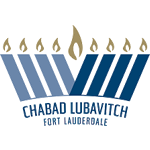 Please email us at office@chabadfll.com with any additions, updates or deletions.